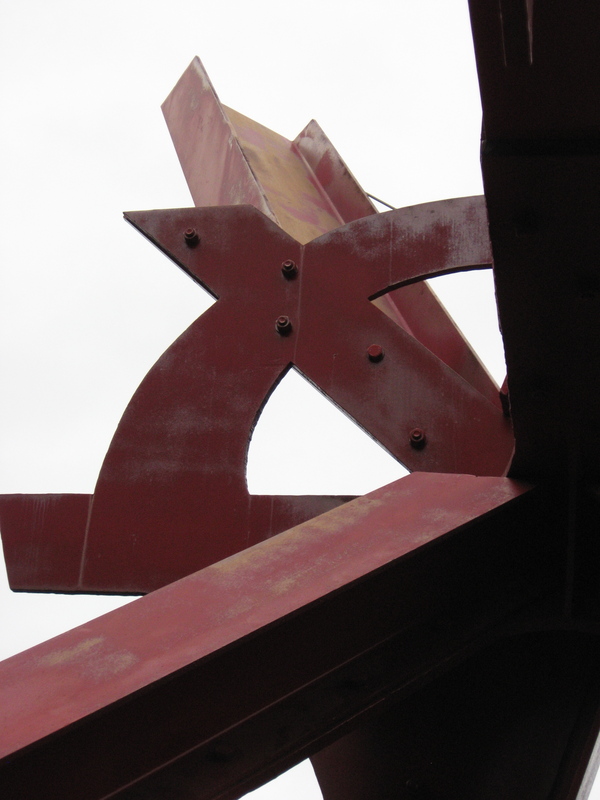 In 2009, museum staff noticed areas of fading and paint loss on Mark di Suvero’s The Sieve of Eratosthenes (See Oliver’s post about choosing to restore outdoor sculpture). 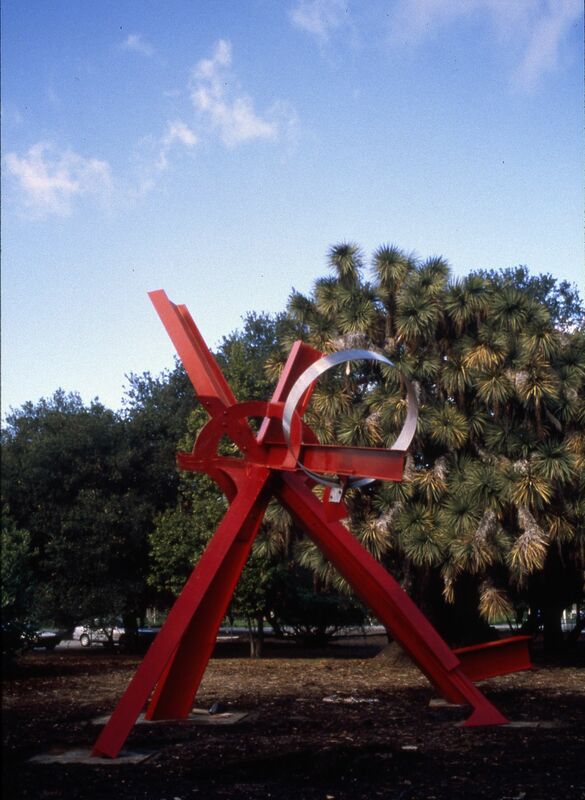 The painted steel sculpture, which sits on the museum’s front lawn, was created in 1999. Since then, it has never been fully repainted (See how we repainted Claes Oldenburg’s Soft Inverted Q). First, we discovered that the original paint no longer met air quality standards. Luckily, after preliminary research and consultations with local paint specialists, we found proper alternatives to the original automotive paint—Mazda Red. Second, as February approached, we were met with another setback- the weather. Aside from intermittent rain, we learned that the paint requires a minimal temperature for proper and timely adhesion. Weather permitting, the repainting of The Sieve of Eratosthenes will be underway by late February. Mariko, I know you took photos of the work in progress for restoring Mark di Suvero’s The Sieve of Eratosthenes. Those photos were very interesting when I saw them on Facebook. Can you share those photos here as well?